Work in one direction (i.e clockwise OR anti-clockwise) don’t change directions mid-drawing. Make extrema points to start with. They are a good place to start, before you get a feel for where the “next point” should go. Extrema points are those points situated on the horizontal or vertical flatness of a curve. Use the Shift key to ensure accurate 90° lines. Use the black arrow to move whole paths (V) (Also, usually not much use if you have drawn accurately over the source image 😛 ). Other times you only want to adjust the handle on one side of a point (i.e., adjust the curve on one side of a point). Use the chevron tool to do this. To access the chevron tool (don’t ask me the “proper name”!) you need to have the pen tool in use (P). Hold down the Alt key and a little > shape will appear, tilted, next to your cursor. Use that to grab the handle you want to change. * Note: if the point you want to change is an extrema point, remember to also hold the Shift key to retain perfect 90° lines. 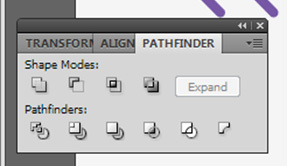 Thanks so much for this – I’m new to Illustrator and the directions to move only one side of a curve have been eluding me! 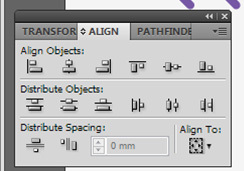 I have Illustrator CS6, and the directions seem to be a bit different – selecting Alt while the pen tool is active duplicates the curve – the direct selection tool (white arrow/ “A” key) needs to be the active tool when you hit alt – but it was your post that helped me figure that out! I suspect that what is happening for you when you are selecting Alt is that you don’t have the Pen Tool active, rather you have the black arrow (selection) tool active. When you hold Alt and click’n’drag with the black arrow tool, you get a copy of the object. Very handy.